The Fairbank Cocktail, known in some circles as the “Fairbanks Cocktail,” is a straightforward variant of the classic martini—and it has a very confused history. 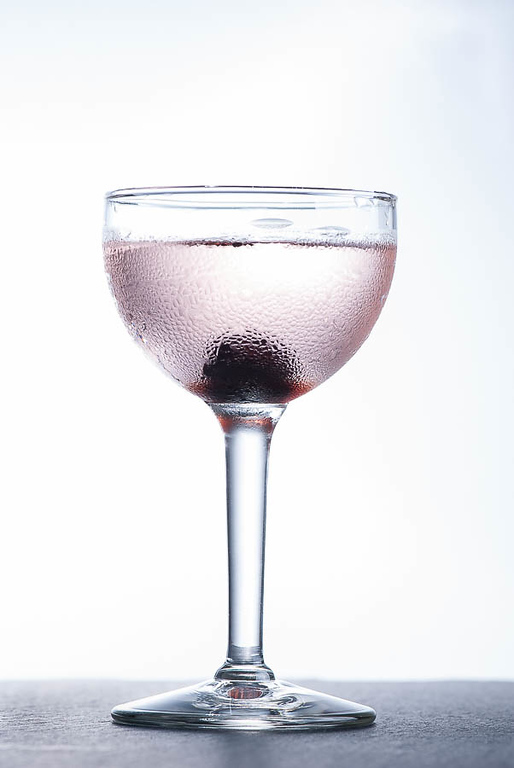 The cocktail is very simple: it is a basic 2:1 gin martini, with two dashes of Crème de Noyaux adding flavor and color. Classically, Crème de Noyaux is made by soaking crushed apricot and other stone fruit pits in brandy; the result is the hallmark almond nose and flavor that we also find in Amaretto. The main difference between Amaretto and Crème de Noyaux is that the latter is usually considerably sweeter, and is traditionally a brilliant Campari red. Stir all ingredients with ice until very cold; strain into a chilled cocktail stem. Optionally, express and garnish with orange peel or cherry. In my market, Bols Crème de Noyaux seems to be the only option. Something about it, perhaps the astonishing red dye, made me recall some of my favorite days in high school chemistry class. The product is “serviceable,” as we used to say—cloyingly sweet and one-dimensional, but drinkable. I also had a bottle of the readily available Disaronno Amaretto at hand. It turns out that Amaretto works very nicely as a Crème de Noyaux alternative—it has a richer, more dimensional flavor, and the only thing missing is the coloring. Two dashes is just enough to make itself known in an otherwise standard martini. Two dashes of either product change the cocktail the same way bitters does—you want an amount that is barely enough to taste, to add its own dimension to the cocktail, and just enough to bring up other flavors. Both Amaretto and Crème de Noyaux add sweetness and a faint nuttiness that trails on as the herbal vermouth notes fade. The almond overtone is definitely present, and if you don’t like almond, there is no point in pursuing this cocktail; if you’re open to the nutty flavor, then the Fairbanks becomes a very interesting “alternative” martini. A bit of orange peel flamed over the drink adds a nice flavor touch. 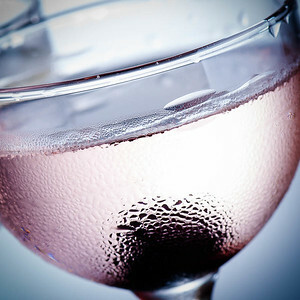 The cherry option is not something you’d normally associate with a cocktail that is fundamentally a gin martini, but it works if you use Crème de Noyaux—two dashes of the Noyaux produce that charming pink tint to the glass, and the cherry is a pleasant visual counterpoint. So what about the confused history? This drink is called after Senator Fairbank, a personal friend of the late President Roosevelt, of America. And that’s where the confusion starts. “Senator Fairbank” was Indiana Senator Charles Fairbanks, Roosevelt’s Vice-President. The Roosevelt White House famously espoused Progressive principles, and while it is not clear their efforts included outspoken support for Prohibition, it seems unlikely that this Vice-President would become the namesake of a cocktail. Fast-forward to 1930 and Harry Craddock’s Savoy Cocktail Book . The formula formerly known as the “Fairbank Cocktail” suddenly appears as the “Fairbanks Cocktail (No. 2).” It’s clear from his notes that Craddock wanted to ride the swashbuckling coattails of the still-famous actor Douglas Fairbanks; he simply relabeled the recipe with the more familiar name, and the job was done. The Savoy has influence; the Fairbank got a stage name that has stuck with it ever since. And one more thing: the Fairbank is perilously close to the “lost ingredients” category. I’m told that the Europeans have all sorts of high-quality Crème de Noyaux available, but based on my experience, it is a vanishing and debased spirit in the US. Good for Amaretto, but alas! for the original Fairbank. Perhaps, nearly a hundred years later, we still need to drink it in Paris. If you’re a fan of martinis, especially martinis with plenty of vermouth, a couple dashes of amaretto makes a delightful change of pace. Unless you’re really looking for the pink color, I’d stick with the Amaretto version—a good Amaretto offers a richer flavor, and seems to meld with the gin and vermouth very readily. And I do like that Amaretto version, with the extra depth and nuttiness. I think the Fairbank has joined my regular rotation. “Confused Histories: The Fairbank Cocktail” at cold-glass.com : All text and photos © 2013 Douglas M. Ford. All rights reserved. Intriguing. I have an old bottle of Jacquins creme de noyaux that I grabbed from my grandparent’s dusty liquor cabinet a few months ago and haven’t used it for anything. with dashes. Aside from bitters, do you have a standard measure you equate with 2 dashes? Never encountered Jacquins. I’d be delighted if you report back on the success of your experiment. My estimate of a “dash” is… a moving target. Sometimes, the bottom of a barspoon. Sometimes, the contents of a medicine dropper… In other words, “a little bit.” I should do a professorial study of that sometime, but for now, it’s more of a sporting estimate. Not real helpful, I know… I’ll work on it. Let me know how it comes out, and thanks for commenting. I am chasing down Creme de Noyaux for Pink Squirrels……….I am pivoting to a Fairbanks, how exciting? You know, I haven’t had a Fairbank for months, I think I’ll have one this evening. Thanks for the reminder.